Kathy please email me at jinabarneydesignz@gmail.com with your address... I can't wait for you to receive your book. Your going to love it!!! Thank you to everyone for participating in this blog tour. 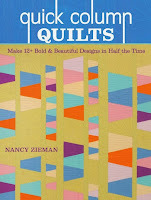 I appreciated all the wonderful comments and enjoyed following Nancy Ziemans blog tour...it was inspirational!! !